It’s been a little while now since I completed my first custom guitar build, so I thought it was about time I sunk my teeth into another project. 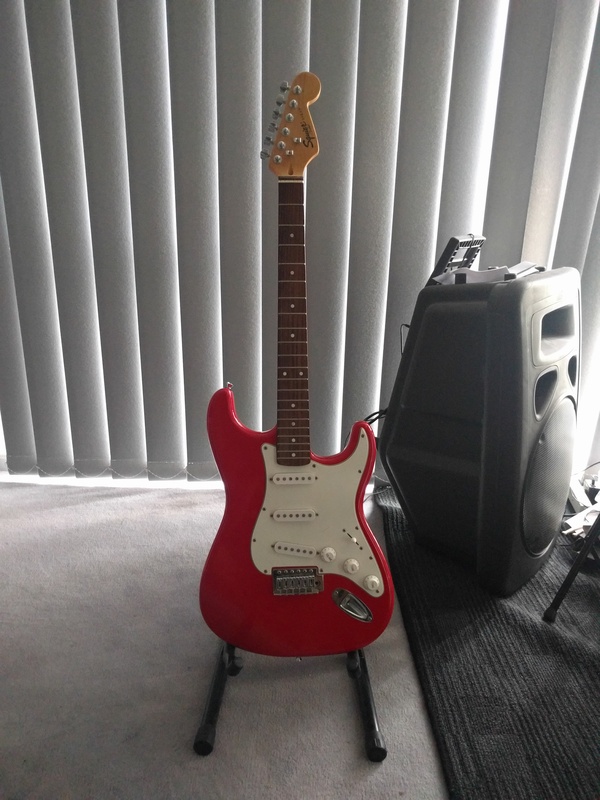 I managed to get a hold of an old Squier Strat for free, so thought that this would serve as a solid base for my next guitar project. 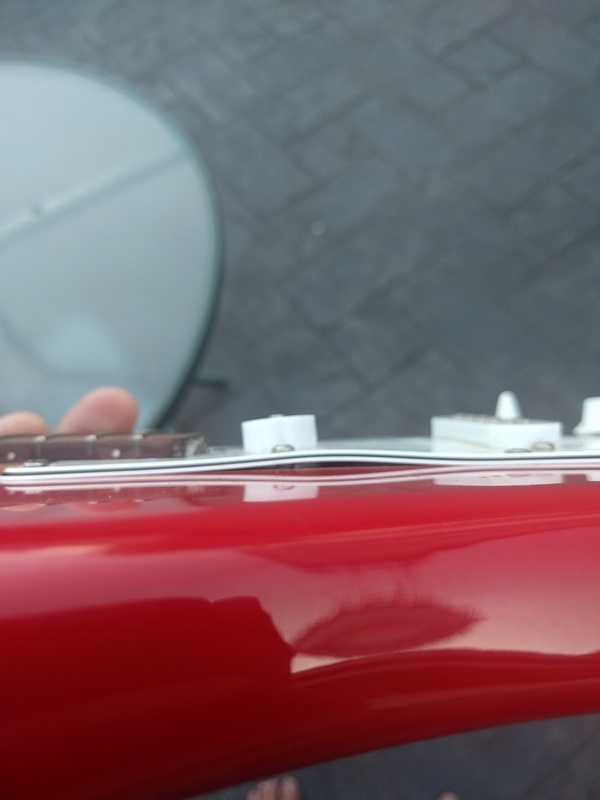 Safe to say the guitar had seen better days, the body and neck themselves were in pretty decent shape, however the electronics were toast and had clearly fallen victim to someone trying their hand at some modifications previously. 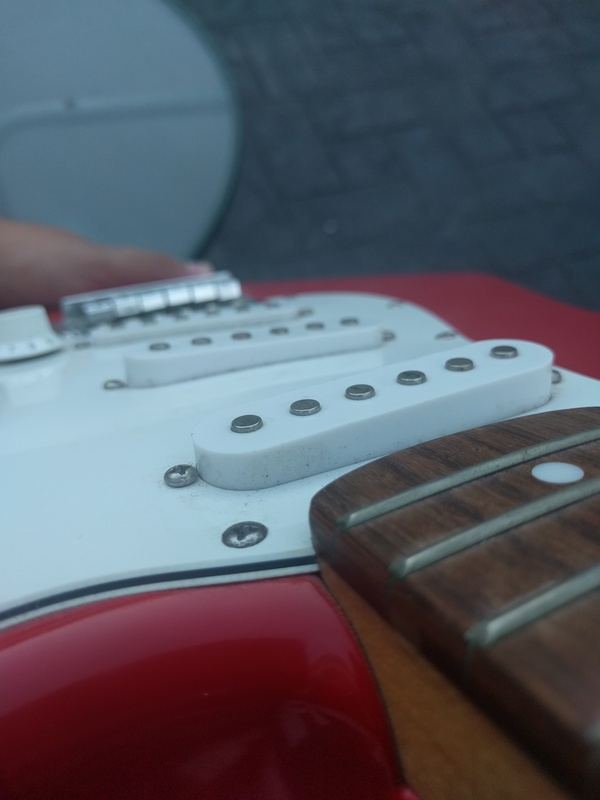 Pickups clearly need some work! Being a big Blink-182 fan, I had always loved the Tom Delonge custom strat. Something about the single humbucker in the bridge and simplistic off-center volume only pickguard was always appealing. That being said, I didn’t want to simply create a replica of the guitar, I wanted to make use the features that I loved as a base and work out from there. From that point on I knew that I was keen to make my own Delonge inspired strat.